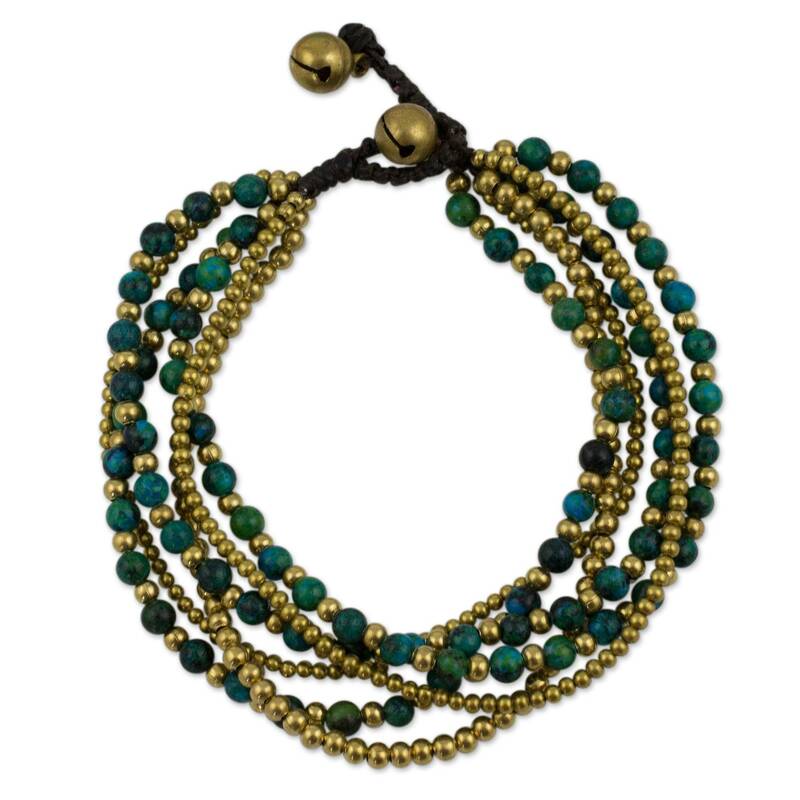 Thailand's Tiraphan Hasub evokes the joy of an evergreen forest with this opulent bracelet. 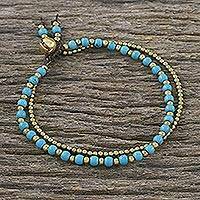 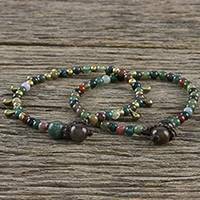 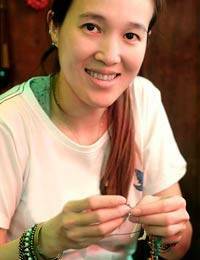 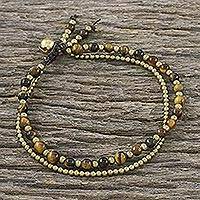 She crafts the bracelet by hand, combining dyed serpentine and gleaming brass beads. 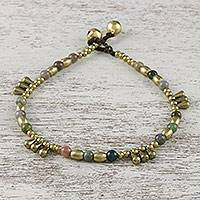 Brass bells form the clasp.